Applications are invited by the respective appointing authority as shown in the annexure ‘B’ against each post, from eligible candidates for the selection and engagement to the posts of Gramin Dak Sevaks under Assam Circle as listed in the Annexure in the official advertisement. No of Posts: 467 Nos. Educational Qualification: The candidate should pass 10th standard from approved state boards by the respective State Govt. / Central Govt. The state wise list of approved boards is at Annexure ‘A’ in the official advertisement. No weightage will be given for possessing any qualification(s) higher than the mandatory educational qualification. The candidate passed Xth class examination in first attempt will be treated as meritorious against those passed compartmentally. Computer Knowledge: The candidate should have computer knowledge and will be required to furnish basic computer training certificate for at least 60 days from a recognized Computer Training Institute. Certificates from Central Government/ State Government/ University/ Boards etc., will also be acceptable for this purpose. This requirement of basic computer knowledge certificate shall be relaxable in case where a candidates has studied computer as a subject in Class X or Class XII or higher educational qualification provided the candidate submits a certificate of Class X or Class XII or higher educational qualification in which he/she has studied computer as a subject. 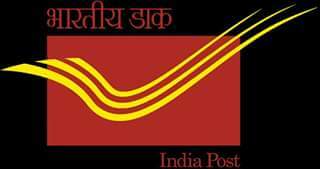 Residence: The candidate selected for the post of GDS BPM must mandatory take up his/her residence in the Branch Post Office village within one month after selection but before engagement as Gramin Dak Sevak Branch Postmaster. The candidate shall submit a declaration to this effect in the application. The candidate selected for the post of other than GDS BPM should reside in post village/delivery jurisdiction. 3. In case candidates get the same marks, the merit order would be taken as DOB (higher age as merit), ST female, SC female, OBC female, UR female, ST Male, SC Male, OBC Male, UR Male. 5. In case candidate willfully uploads wrong documents/information and unnecessary documents, his candidature will not be considered. Similarly in case the candidate enter marks erroneously either higher or low with reference to marks list uploaded then the candidature will also not be considered. 6. The candidate will get an SMS on his provisional selection on the prescribed date after selection. Mere getting SMS or any other communication on selection will not entitle the candidate to claim for regular selection/ appointment. The final selection/ appointment will be based on satisfactory completion of verification and genuineness of all educational & other documents produced by the candidates by the concerned authorities. A) Department is not responsible for non-receipt of email/SMS by the candidate due t any specific reason or without any reason arising out of providers services and other dependencies. However, a physical communication in regard to provisional selection intimation will be sent respective recruiting authorities in due course as per the selection procedure. Fee Payment: Rs. 100/-, however, fee payment is exempted for all Female and Sc/ST candidates. They may apply online directly through the provided link in the website. For more information you can check the official advertisement from below. How to Apply: Candidates who desire to apply online will have to register himself in the portal through https://indiapost.gov.in or https://appost.in/gdsonline with the basic details to obtain the Registration Number.